So, what it would it take for someone as successful as Faison to leave this dream world? Bigger income, better benefits, a dream opportunity? Think again. Think sausage, bacon and a dying meat industry. Faison had inherited his family's Virginian farm and instead of selling out like the majority of generational farms do, Faison knew this was his one shot to honor his family’s legacy. Growing up in a rural Virginian community, Faison witnessed a gap in the local meat market: local meat producers were struggling to sell. He knew he wanted to honor his grandfather, Milton Faison and use his family’s asset to change the history of meat production. In 2012, he left South Beach and moved back to small town Virginia. For over a year, Faison listened. He knew he had to build buy-in and learn the industry. He visited farmers, listened to their ideas and asked about their greatest needs. He found they all needed two things: more market access and higher profits. Hence, Milton’s Local was born. “We started selling some of the farmers’ products. We had to demonstrate that we could sell for them and we did,” says Milton. 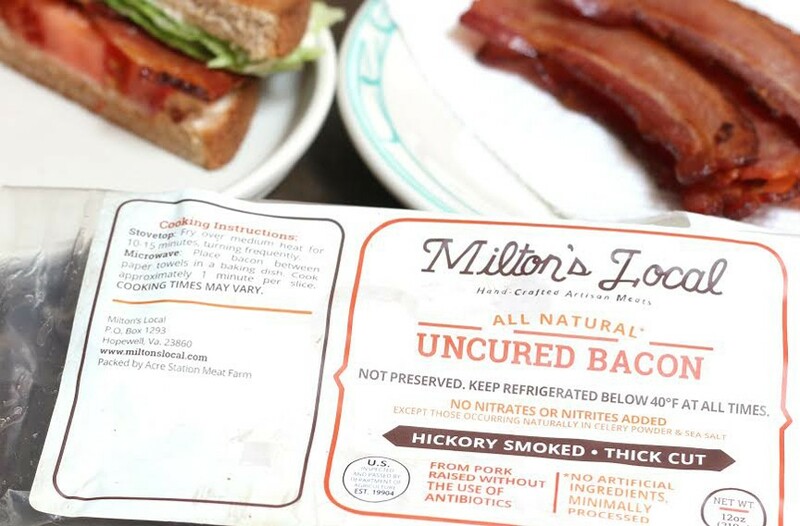 Milton’s Local proudly supports 35 family-owned farms in North Carolina, Virginia and Pennsylvania; every one of them raise only antibiotic, steroid-free animals. Milton’s Local supports sustainable agriculture by creating wholesale channels for family farmers. Restaurants, grocery stores and their online shop is their current distribution model. Imagine a box of Chipotle & Cilantro Bacon Sausage and Hickory Smoked Bacon showing up at your front door—both great tasting and in their healthiest form. “We define all-natural as minimally processed. For our bacon and bacon sausage, we don’t use MSG or gluten, no artificial flavorings or official nitrates or nitrites. A common way to cure pork is to use pink salt. We use naturally occurring nitrites in celery,” explains Faison. Milton’s Local doesn’t take shortcuts. This includes their engagement with the agriculture community and larger systemic challenges. Faison is involved in local and regional agriculture, including the USDA Beginner Farmer and Rancher Community. He is constantly thinking about the revitalization of food. “At the beginning of the 20th century, 40 percent of Americans were involved in agriculture. Now it’s one percent. Not a lot of folks know how to raise or grow food,” says Faison. One percent of Americans are connected to the nurturing and growth of our most basic necessity. Knowing this should not have left my mouth hanging open when he told me that the median income of a beef farmer is $1,100 per year and $5,700 per year for pork farmers. Economics 101, right? We have zero connection. We place zero value. Why, then, do we still have meat production in the United States? “Farmers are doing it for lifestyle and for heritage. If you didn’t inherit a farm, it’s incredibly difficult for you to survive as a farmer. The profits are low and the infrastructure costs are so high. So, for Milton’s Local, it’s about scale and high volume—getting these producers enough marketing channels so they can scale up,” says Faison. James Faison is inspiring. He so easily could have continued to live the good life on the beaches of South Florida. (I know that lifestyle of sun, water sports and margaritas. It’s easy and fun.) But he didn’t. He took on the plight of farmers. This dedication, using force of business for good and others, deserves the highest of accolades. You can find Milton’s Local meats at several Earth Fare grocery stores across North Carolina and other states. Check out their locations here. Read about their history, their farmers and order your bacon. I met James Faison at the Social Venture Network (SVN) conference. As one of the SVN Innovative Entrepreneurs, Faison ascribes value and learning from the network. He knows it’s a community who has his back, like-minded entrepreneurs who want him to succeed and have gone out of their way to offer insight, resources and connection. Check out SVN. Apply to be an Innovative Entrepreneur.